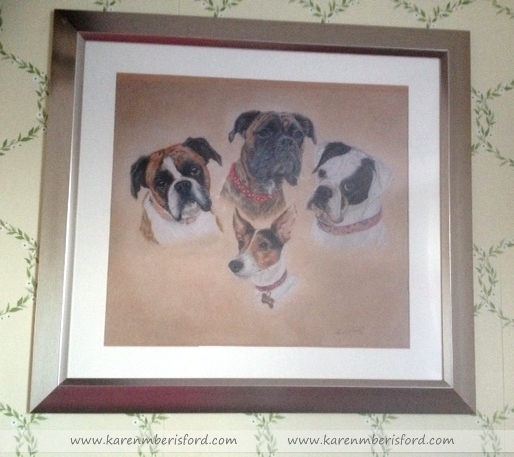 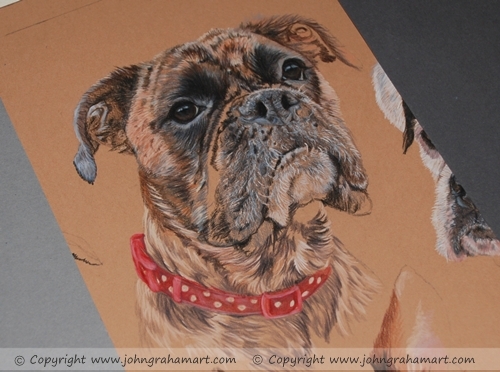 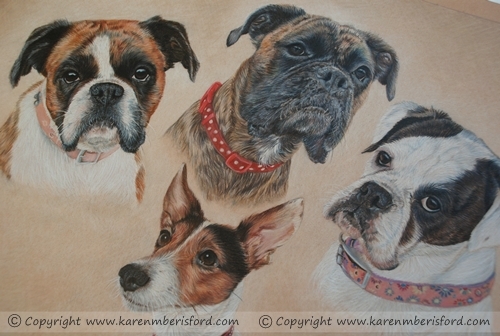 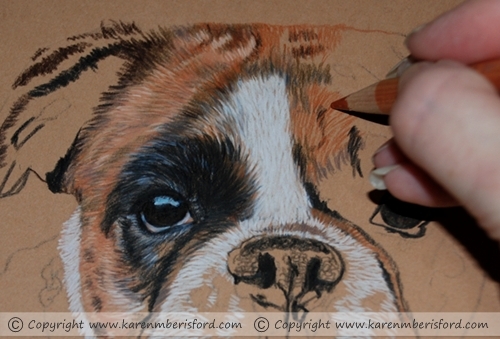 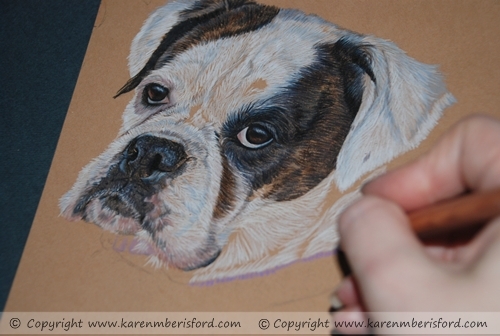 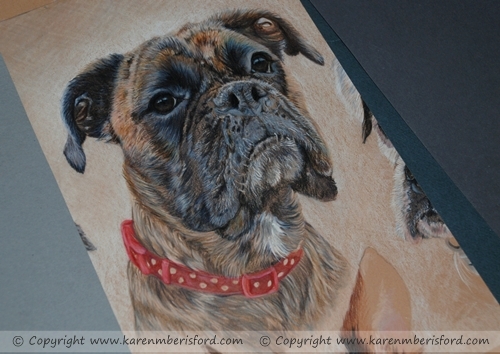 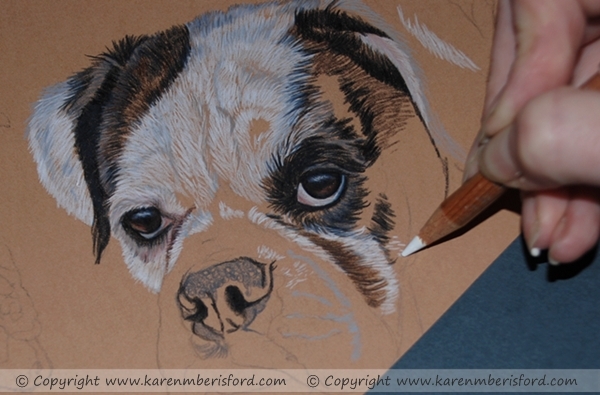 ​This pencil portrait was commissioned as a very special Xmas gift of their 4 dogs, past and present. 'The Girls' are Boxers; Maddie, Fergie, Libby & Noodles the Jack Russell. 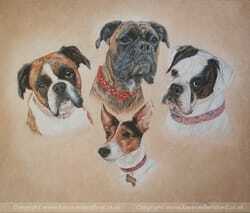 A mock up was created firstly to place all the girls together to give an idea of finished portrait and was completed in Coloured pencils with the 16" X 20" format offering a large space for each portrait with plenty of detail. 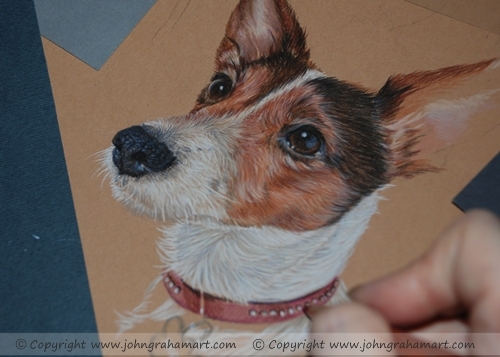 As I only work on a portrait for an hour at a time to keep 'fresh eyes' on the piece, it makes it easier to work longer hours on this one portrait as I can change between each portrait. 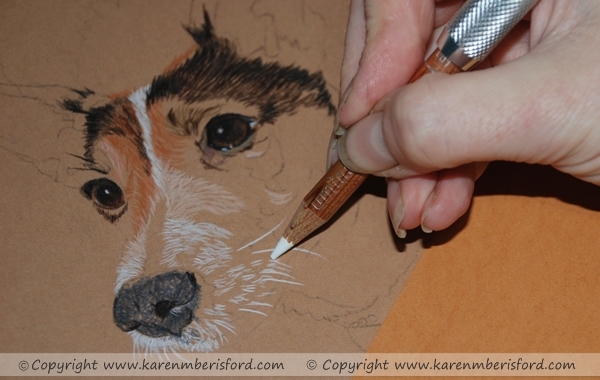 I always begin by laying down the base tones which is placing highlights/shadows to cover each working area before going on to the layering of finer details. 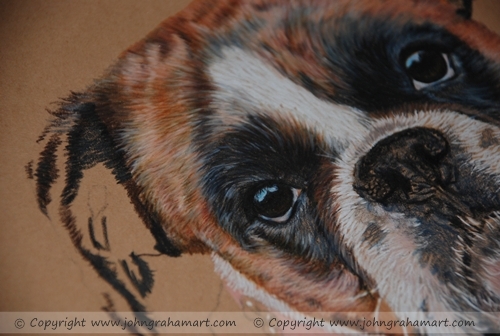 The base layers take the longest to create and the portrait does not really start to come together until the finer layers are being added.